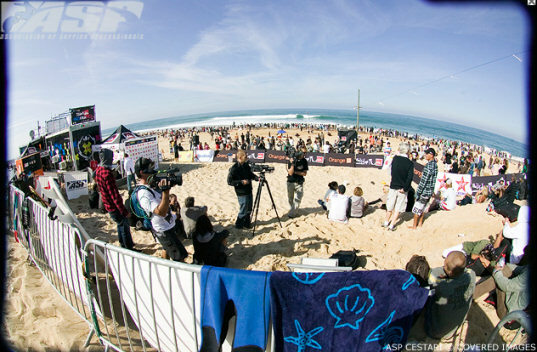 The Association of Surfing Professionals (ASP) World Tour wrapped up an exciting week of competition last week at the Quiksilver Pro France, with eight-time ASP World Champion Kelly Slater (Cocoa Beach, FL), 36, missing his ninth world title by a loss in the Final to dark horse Adrian Buchan (Avoca Beach, AUS), 26. Slater is not far from the 2008 title however, needing only a ninth place finish at the upcoming Billabong Pro Mundaka to seal the deal. In hot almost summer like conditions at Jan Juc Beach, talented Gold Coast surfer Thomas Woods and Victoria’s own Nikki Van Dijk (Phillip Island) took convincing wins in the blue ribbon 16 year Boy and Girl divisions of the prestigious Rip Curl GromSearch Series in clean small 0.5m surf. Adrian Buchan (AUS) has beaten eight-time ASP World Champion Kelly Slater (USA) to win his first ever ASP World Tour event – the Quiksilver Pro France – in Hossegor, France today. Tahitian wildcard Michel Bourez may have hindered Kelly Slater’s 2007 ASP World Title hopes by knocking him out of the Quiksilver Pro France last year, but he certainly helped the Floridian’s cause today. Cori Schumacher (Cardiff, CA), 31, won the Roxy Jam Cardiff featuring the Linda Benson World Longboard Pro and ASP North America Women’s Longboarding titles over defending event champion Jen Smith (Pacific Beach, CA), 22, Chelsea Williams (Coolangatta, AUS), 23, and Summer Romero (San Diego, CA), 26, in two-to-four foot surf today at Cardiff Reef. 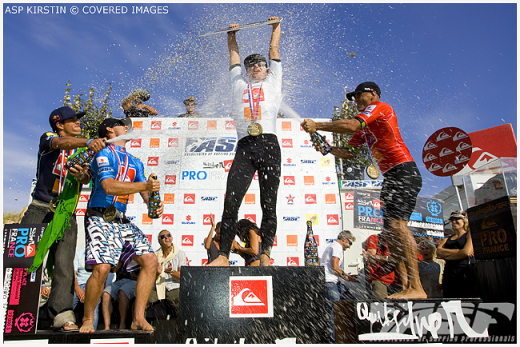 Nathan Yeomans (San Clemente, CA), 27, has claimed his third consecutive event title with a big win at the 2008 Oakley Newport Beach Pro over fellow finalists Dillon Perillo (Malibu, CA), 18, Travis Mellem (San Clemente, CA), 23, and Micah Byrne (Huntington Beach, CA), 26, in clean two-to-three foot (1 metre) waves at Newport Beach’s 56th Street.